It was odd: my mom and my buddy Todd both gave me a copy of this book. When TWO people independently and unbeknownst to each other give you the SAME book, is that a sign you ought to read it? A sign that the book is quite good? I did read it and very much enjoyed it. The narrator is a dog. The story is from his point of view, which was wonderful. It's one of those feel-good, TUESDAYS WITH MORRIE kind of books. And it has a wonderful ending. It didn't make me cry or anything, but it definitely gave me a case of the warm fuzzies. 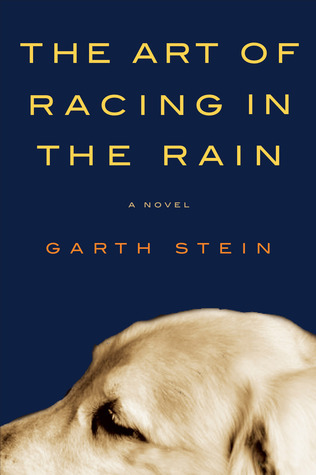 Sign into Goodreads to see if any of your friends have read The Art of Racing in the Rain.